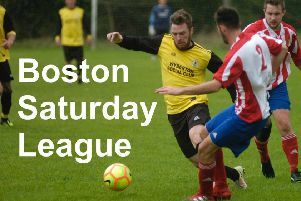 Mickey Stones says that Saturday’s top-of-the-table clash at Ruston Sports is ‘massive’. The contest may pit first against fourth, but victory would see the Wongers pull level on points with the current Lincolnshire League leaders. Defeat, however, would see Town slip further away from top spot. “If we don’t get any kind of result it will allow Rustons to get further and further away from us,” Stones said. “Obviously, we want to win it. “But it’s important not to lose. Horncastle and Rustons have met three times already this season, with Rustons winning 2-1 in their county cup clash and Horncastle progressing 4-1 on penalties after a 3-3 draw in the Supplementary Cup. However, Rustons scored two late goals to beat the Wongers 5-3 in their recent league clash, which really made things tight at the top of the table. And while Stones says Town pride themselves on playing an attacking game, he admits there may need to be a change made against a side who have already scored 10 times past them in three previous encounters. “We’re an attacking side, even our central midfielders are attacking, and we don’t really have anyone sitting back and protecting,” the managerconfessed. “It’s ok when you’re scoring goals, but if you don’t then you can get caught out. “We’ll try to shore it up at the back, maybe have some one-off tactics for that game. While plenty may rest on Saturday’s fixture, Stones believes that the Lincs League title race may still have plenty of plot twists to come. He added: “Rustons seem to be improving every week and Skegness have signed a couple of players. Saturday’s match at Newark Road kicks off at 2pm.